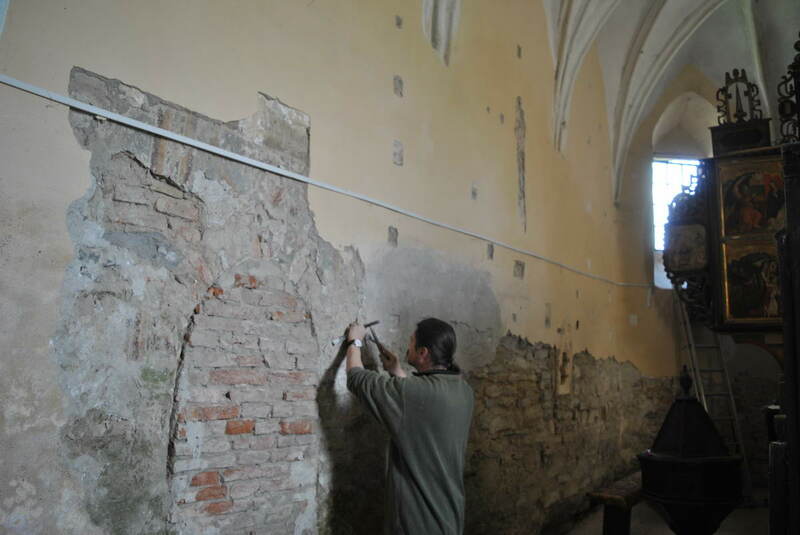 Home » News » All news » Fortified churches » Tătârlaua: Frescoes from the 14th century discovered! In Tătârlaua, district Alba Iulia, well-preserved and artistically valuable wall paintings were discovered in the course of a plaster study in the choir. 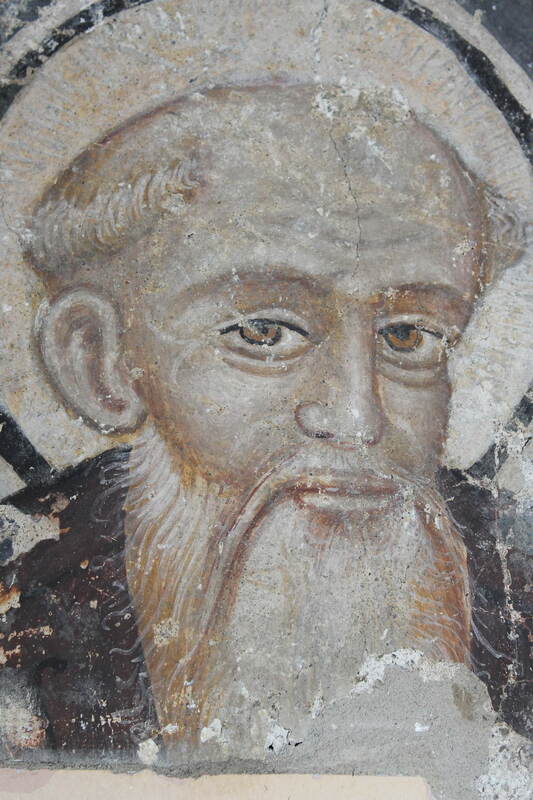 The restorer Lorand Kiss led the preliminary investigations. This art historical treasure was not expected to be found in the rather small and inconspicuous church of Tătârlaua – a great surprise for the experts on site. The Fortified Churches Foundation had invited the inspection team on 19 May 2016. Sebastian Bethge met with the competent minister Alfred Dahinten,the church father Mr. Kirschner and the church curator to carry out an initial inventory of the substance. The aim is to support the small local community in its initiative to preserve the church, to advise them professionally and to direct the future conservation work.